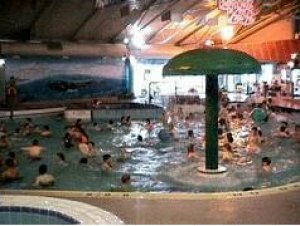 The Invercargill centre's southern coastal theme makes it a fun place to visit and there are few communities in the world that can boast an indoor aquatic centre of this size within walking distance of the central business district and close to a large selection of motels and parks. The facility includes a 50m x 8 lane sports pool with a bulkhead, a leisure pool with waves and sprays, a tots' pool and a learners' pool. There is also a water slide, spa pool, steam room and a cafe -- all indoors and with off-street car parking. This page is current to 23 Apr 2019, 12:24:05 AM and took 0.447 secs to generate.